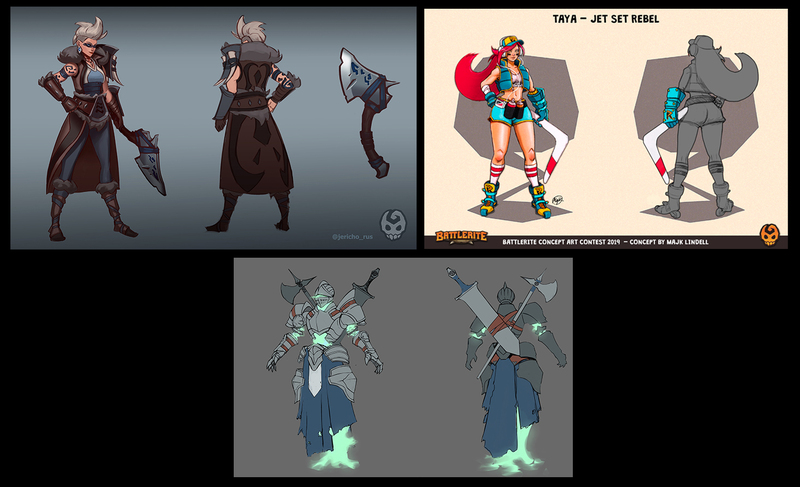 Work will begin on the new skin next week and any progress images will be posted in the Battlerite Official Discord #artwork channel. Along the way, I’ll also be doing some weekend art streams on Twitch for anyone curious about how Battlerite art is made or for those that just wanna hang out. Details about these streams will also be posted in the #artwork channel, including small alerts for when they will be going live! Alright enough talk, let’s get a glimpse of these winners!! These artists will be receiving the title of ‘Art Warrior’ in game! These artists will be receiving the title of ‘Art Warrior’ in game, as well as codes for a Lovehound Mount, All Champion’s Pack (Arena & Royale), and a Premium Battle Pass for Season 2! 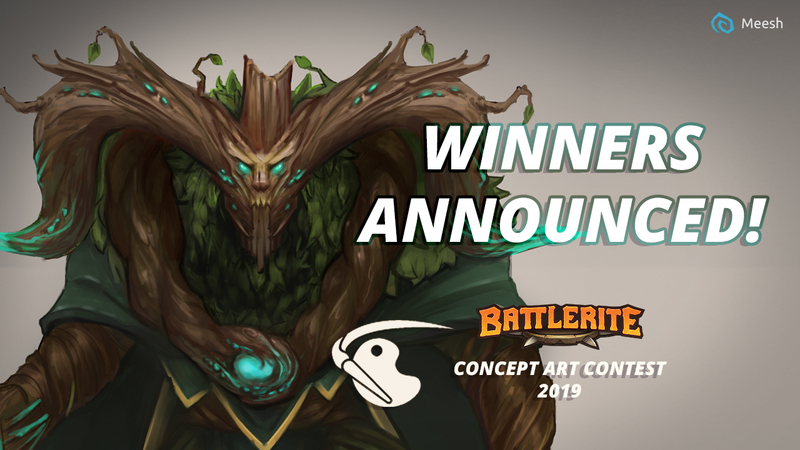 Milva will be receiving the title of ‘Art Warrior’ in game, as well as codes for a Lovehound Mount, All Champion’s Pack (Arena & Royale), Premium Battle Pass for Season 2, Legendary Adventure Pack 1, and Corrupted Treant Ruh Kaan will be added as a free community skin inside the game! Congratulations Milva and all our other amazing artists! 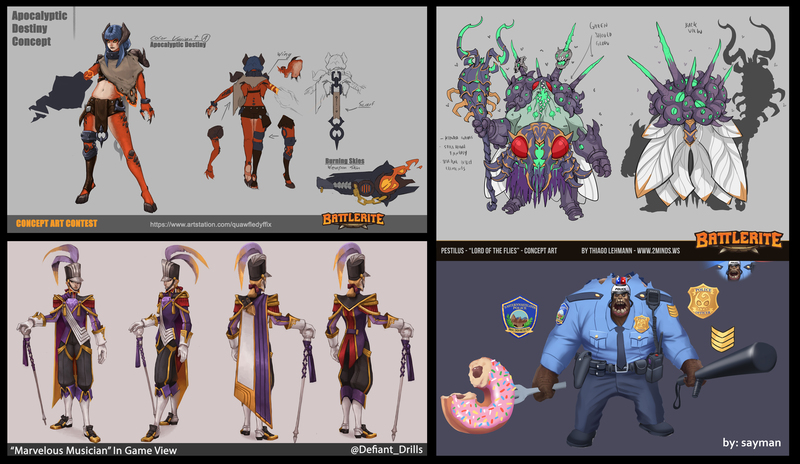 We wish we could put each and every one of these skins into the world of Battlerite, but at the very least there will definitely be more community contests in the future with even more chances to contribute to the game. Thanks so much everyone for your participation!